Samsung really wants you to sign-up for Samsung Pay. They will do almost anything to get you to do so, including handing you a $200 gift voucher and the chance to win a $23,000 football-related package that includes airfare to San Francisco, plus hotel for four nights, and VIP entrance into a pre-Super Bowl VIP party. 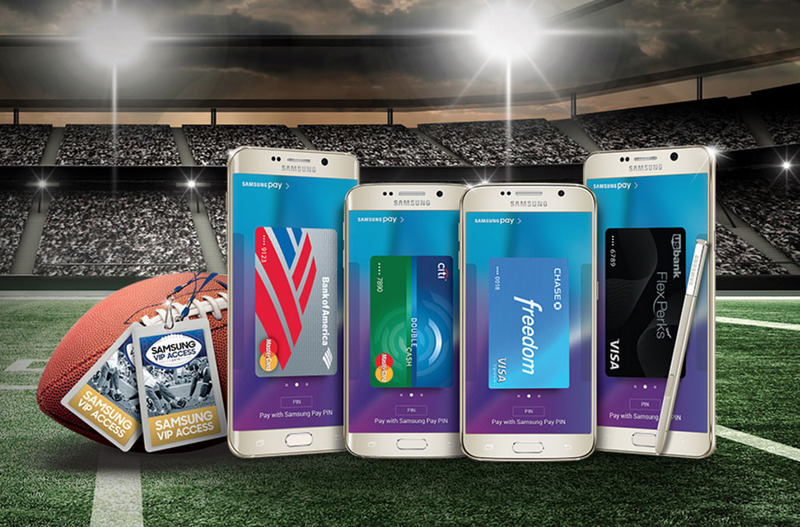 In the latest of many Samsung Pay promotions, Samsung says that if you buy a Samsung Galaxy S6, Samsung Galaxy S6 edge, Samsung Galaxy S6 edge+, Samsung Galaxy S6 Active or Samsung Galaxy Note 5 from now until January 20, then sign-up for Samsung Pay with a compatible card (list of cards), you’ll be eligible for those offers. First, if you buy a phone and are able to sign-up for Samsung Pay, you get a $200 gift voucher to spend at Samsung no matter what. But by doing all of that, you also get entered in to win that football package I just mentioned, worth up to $23K. There are all sorts of rules here, though, so if you want to buy a Samsung phone and have a card that works with Samsung Pay, you’ll want to hit up that link below and read it all. As a reminder, one of our readers who took advantage of this, mentioned that he went the T-Mobile route, since they are offering deals like the 128GB model of Samsung phones for the price of the 64GB model. Not only that, they are also giving away Netflix for a year. So if you do buy now, you could get yourself into some pretty heavy discounts.